The Symphonic Youth Orchestra (SYO) was the first part of the program formed in 1970. This ensemble operates in a full orchestra format, complete with wind, brass and percussion instruments. The SYO has performed at Carnegie Hall and Avery Fisher Hall. Many SYO graduates have continued their musical studies and have become accomplished professional musicians. In 1990, two more youth orchestras were founded to encourage elementary and middle school musicians. The String Ensemble (SE) encourages elementary school students to seriously study string instruments and offers training and advancement into the Concert Youth Orchestra (CYO). The CYO for middle school students offers training and advancement into the Symphonic Youth Orchestra. The three youth orchestras typically perform two large concerts, one in late winter and one in June, as well as performing throughout the year at a variety of venues in the area. Scholarships are awarded each year to students who are pursuing a degree in music. Those accepted to the GSPYO must pay annual member dues and support capacity-building activities. A limited number of dues scholarships are granted. The Kiwanis Music for Young People’s Program is initially supported by Greater Toms River Kiwanis with a three year grant of $30,000 to the Garden State Philharmonic (GSP). The Kiwanis Music for Young People’s Program allows young people to explore music appreciation, examples of common and not so common instruments, basic music theory and composition, performance technique and more. This program will also include funding for tuition assistance, instruments, lessons and the formation of a Children’s Chorus. In cooperation with participating schools, classrooms are provided with detailed packets that include sample activities and assessments. The Greater Toms River Kiwanis Club is excited about participating with other Kiwanis Clubs interested in making this your Club Signature Project. The importance of music and the arts can not be overstated. This program would spread the Kiwanis name in our schools to children, teacher and parents alike. What better tie-in with our Service Leadership Projects (SLPs)? In addition, Kiwanis would have a highly visible presence at the annual Young People’s concert which would be branded as part of the Kiwanis Music for Young People’s Program and also offer a hands on volunteer opportunity for our members to be ushers and assist in running the program. 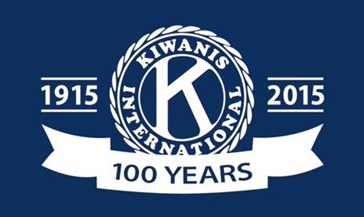 This is definitely contains all four elements of a Kiwanis Signature Project for our clubs. The GSP ( www.gardenstatephilharmonic.org ) partners with school districts and educators to elevate experiences around instrumental and vocal music! Provide Classrooms with detailed educator packets that include sample activities by age group. Assist in the funding needed in the Creation of a Youth Chorus. Subsidize Youth Orchestra student’s music fees for those who have demonstrated a need. Fund the Youth Orchestra Student Scholarship.